Hi Bloggers, Welcome to Bloggers Hangout!!! 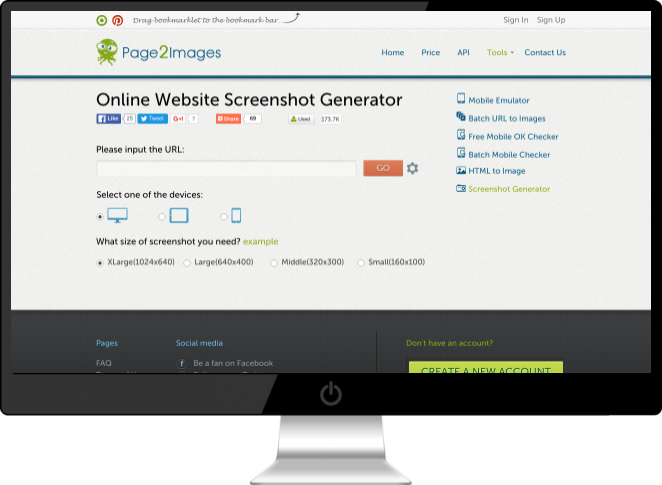 Online Website Screenshot generator is an awesome free tool provided by Page2Images website that generates website screenshot or thumbnail online. Page2Image website is a treasure box of tools like Screenshot Generator, Batch URL to Image, Mobile Ok Checker, HTML to Image, Mobile Emulator, and Batch Mobile Checker. It allows you to easily generate website screenshot or thumbnail, snapshot website by just providing URL of a website. It allows you to select a device and screenshot size. It also lets you have the advanced settings like delay time, force refresh and full page length. 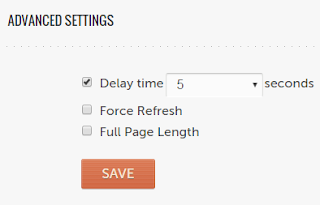 In advanced settings, you can adjust delay time from 2, 5, 10, 15, 20, 25 seconds as per website load time to get perfect website screenshot and also full page length website snapshot. Signup for the free account with Page2Images to get 3000/month web screenshots or thumbnails, website snapshots and it also resets every month end. BloggersHangout recommends Screenshot Generator by Page2Images. Do share your best website screenshot or thumbnail generator online that you use for blogging in the comments section. Superb information you gave its very valuable for every one. keep post new information for every time. Thanks for your info.